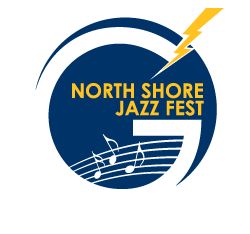 Q: Where & when is the North Shore Jazz Fest? 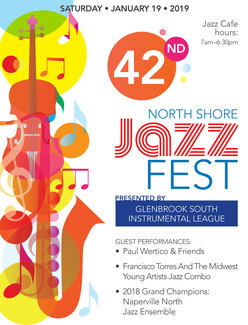 A: Jazz Fest is January 19, 2019, at Glenbrook South High School, 4000 West Lake Ave., in Glenview. Your school’s band director will have your group’s performance time. Q: Are parents invited to watch the student groups perform? A: Yes! Parents, guests and the general public are always welcome at Jazz Fest. Wristbands are required to enter any of the four performance rooms and can be purchased at the door. Adults: $12, Senior Citizens (65 and over): $8, Children under 12: $8, and a family package (2 adults, 2 children) is available for $30. Student performers can attend all performances at no additional charge. Chaperones should contact their school’s band director regarding chaperone admissions. Q: Are shout-outs available at Jazz Fest? A: No. Due to our multiple performance stages and the short turnaround time between ensembles, we are not able to offer shout-outs. Q: Are concessions/food available during the day? Q: Can we bring food for our own band to the event? A: No. In order to keep the classrooms visiting bands will be using clean, we ask that no food be brought into those rooms. Additionally, this is a fundraiser for the Glenbrook South Band Program and we ask that visitors take advantage of the food that we have available for purchase in the Jazz Cafe. Thank you for your support with this. Q: Are Jazz Fest T-Shirts for sale? A: Yes! Souvenir T-Shirts will be available for purchase. Look for the T-Shirt tables outside the Auditorium and in the hallway leading to the Lyceum. An image of this year’s design can be seen at the top of this page. Q: Will Jazz Fest offer professional photographs of participating groups?